art of the houseboating lifestyle is owning a boat that you can make your own. Sure, there are other ways to experience the water, like renting or crashing on your friend’s boat. There is absolutely nothing wrong with either of those options. But there’s something about investing in your own boat that creates a feeling of pride and coziness that goes unmatched. 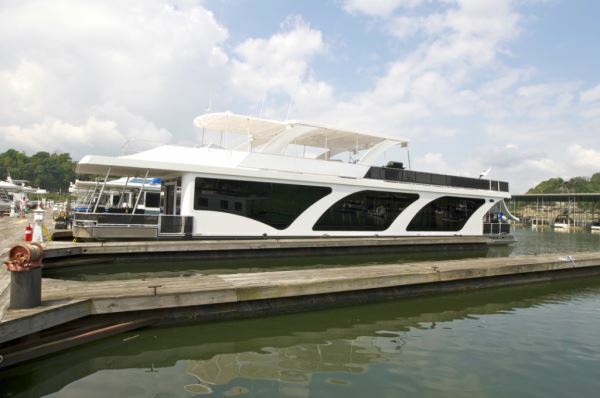 A new boat will be worth every penny because it will be custom built to your specifications. Doesn’t that sound like heaven? If you can afford it, a new boat with new parts that are all under warranty will be an amazing investment for your family. Most builders are a few months out on orders, so be patient and take your time to design the boat in a way that will make your the most happy. 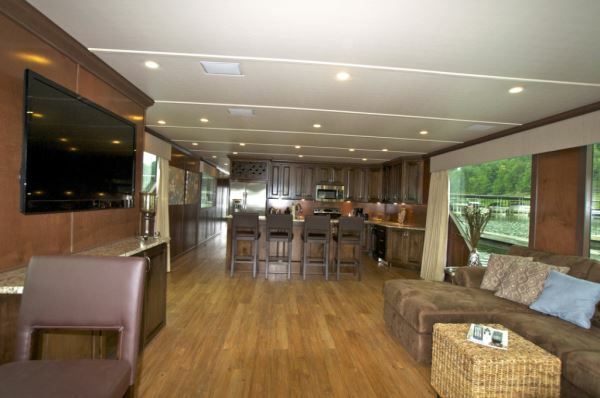 Ask if you can tour boats close by and look at all the different floor plan options. Talk with your spouse and decide on the things that neither of you want to compromise on, then express that list to the builder. These people are good at what they do and they will build you a boat that exceeds all of your expectations. Once your boat goes into production, you will be amazed at how quickly it goes. If you live close to where you boat is being built, you can stop by and see the process. 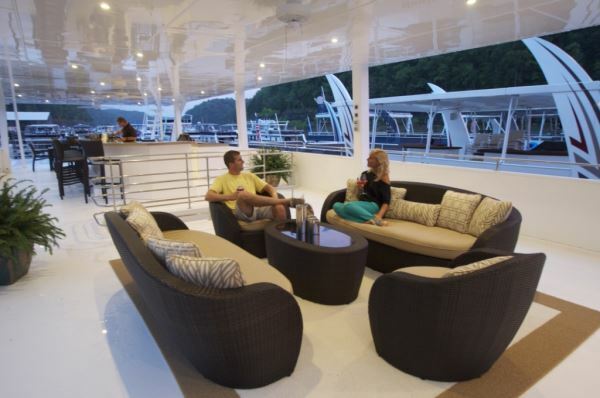 Employees of houseboat manufacturers have years of experience and, more importantly, the passion to do get the job done efficiently and right the first time. All of these things are great reasons to buy new. In most cases, there is absolutely nothing wrong with a used boat. Most likely, the previous owner is selling only to upgrade and no longer uses the boat as often as they wish. Why not take advantage of a great deal? If you are going to go with a used boat, then make sure to hire a broker. Most work closely with lenders, insurance agencies, houseboat movers, marine mechanics and too many other people to list. These people are professionals and will be with you every step of the way. They know the ins and outs of the business, so they can give you behind-the-scenes information that you may not know about. A houseboat broker’s entire business is built on their reputation and word of mouth. So of course, they don’t want to sell you a lemon. In fact, they don’t even want to list a lemon. They can help you make a great choice, especially if you’re not exactly sure what you’re looking for. Unless you have the type of funds to pay cash for a houseboat, then you will have to work to put together a down payment and then secure. Something that requires hard work instead of instant gratification will make cruising around that lake feel so much more rewarding. Boat loans are similar to RV loans. Most lenders will require a minimum 20 percent down payment and a minimum credit score of 680. A lot of banks and credit unions don’t offer marine financing but there are still plenty that do. 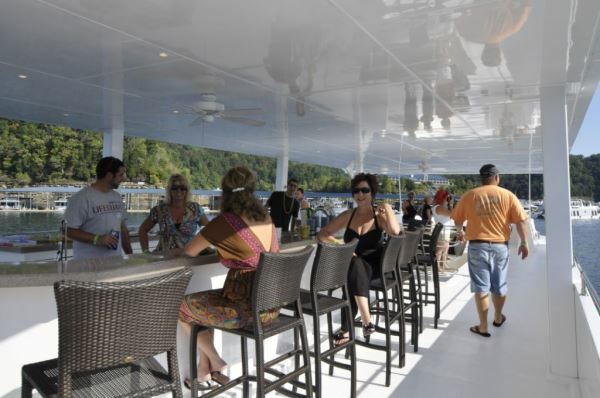 Brokers can give you a great idea on who is lending for houseboats. Remember, as long as the houseboat has a galley and a head, the interest is tax-deductible, just like a mortgage. 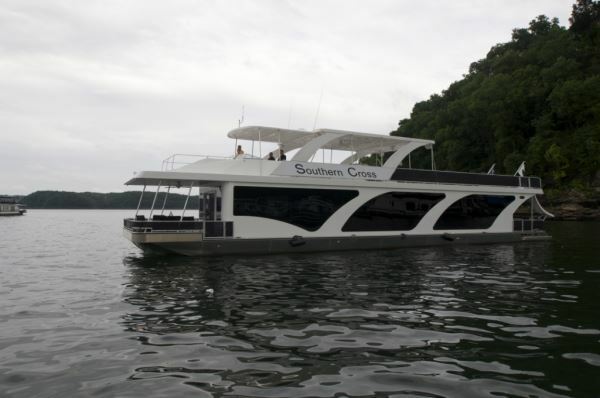 Before you buy, make sure you understand all the costs associated with the houseboating lifestyle. Just as you ask about property tax and insurance rates before you close on a home, ask what the monthly fee for the slip where you plan to keep your boat is. Sometimes, the slip or the dock is included in the purchase, but more often, you'll have to pay rent to a marina and there could be other association fees on top of that. It all depends and varies by region, but you can generally expect to pay anywhere from a couple of hundred dollars to more than $1000 per month. Some costs are included in your slip fee, but in most cases sewage pump-out will be extra. The Environmental Protection Agency estimates the annual cost of weekly pump-outs to be approximately $550. There are costs associated with maintenance and repairs. Something that sits on water, like a houseboat, will have more wear-and-tear issues than a normal home on land. Also, sometimes with houses, you can let issues sit until you can work them into your budget. For example, a piece of my siding got cracked by a golf ball eight months ago and, since it’s on the side of my house, I’ve been unmotivated to have it fixed. But a problem on your houseboat that isn’t addressed immediately, especially if it has to do with your hull, can lead to much larger issues that could eventually leave you in dire straights. Besides all of those considerations, know exactly how you plan on using your houseboat and make sure your marina fits into your lifestyle. Some marinas don’t allow fulltime live-aboards and some counties and states have outlawed the practice because residents don't pay school or property taxes and think the waterways become more polluted with the extended use.